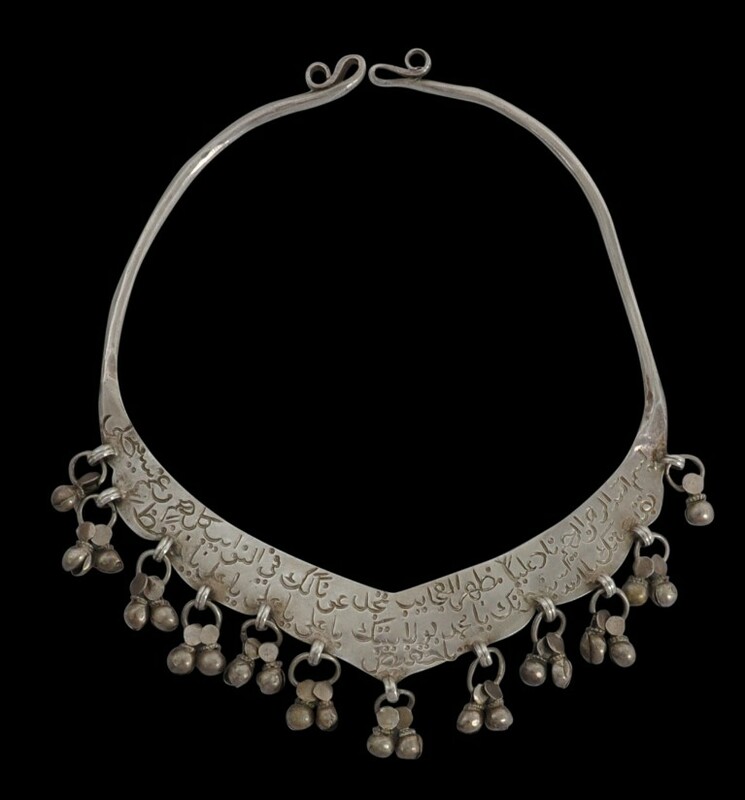 This type of necklace is believed to be from Sur, on the Omani coast. It is of solid silver and is very unusual because it is the only example that we are aware of that is inscribed. The main plate is entirely engraved with a lengthy Arabic inscription that no doubt is intended to be talismanic and protective. Other examples published including that on the cover of Rajab (1998) and one illustrated in Hoek et al (2004, p. 64), are engraved with floral and geometric motifs and are without inscriptions. They, like the example here, are decorated with suspended bells. The form is inspired by the Islamic crescent motif. 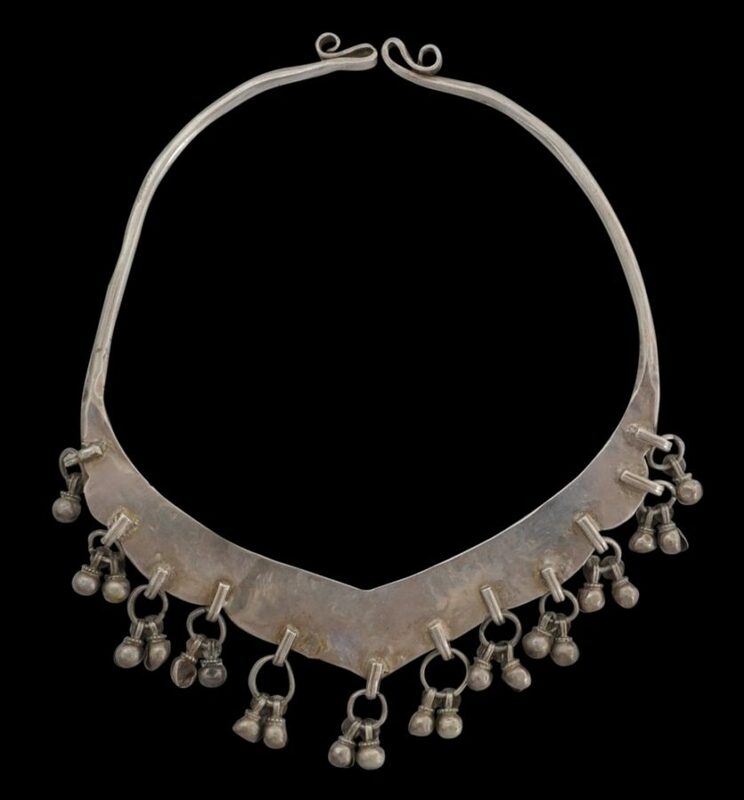 But possibly, the design relates to necklaces of similar form in Southeast Asia and Southern China. According to Hoek et al, the form shows similarities with necklaces worn by the minorities of southern China which might be explained by the trading relations that once existed between Oman and China’s southern Hainan island. 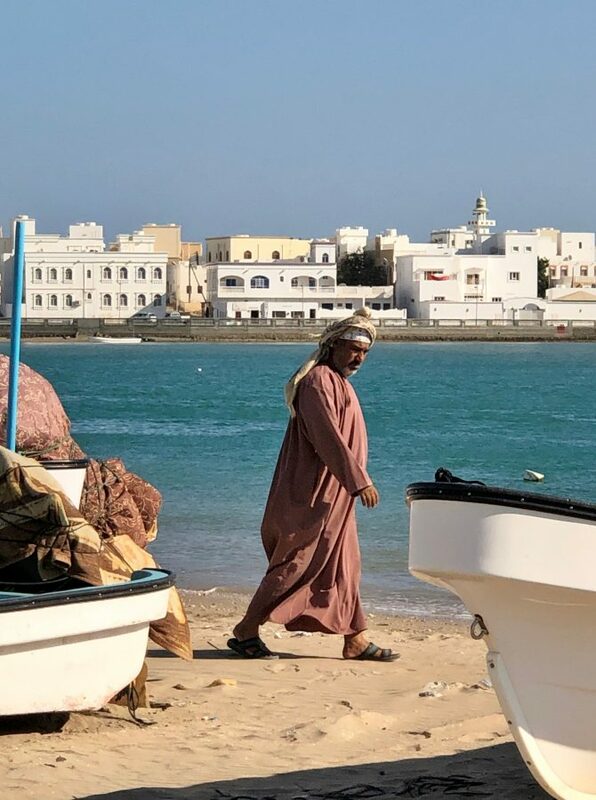 This is entirely possible because of Sur’s trade links with the Indian Ocean and beyond. 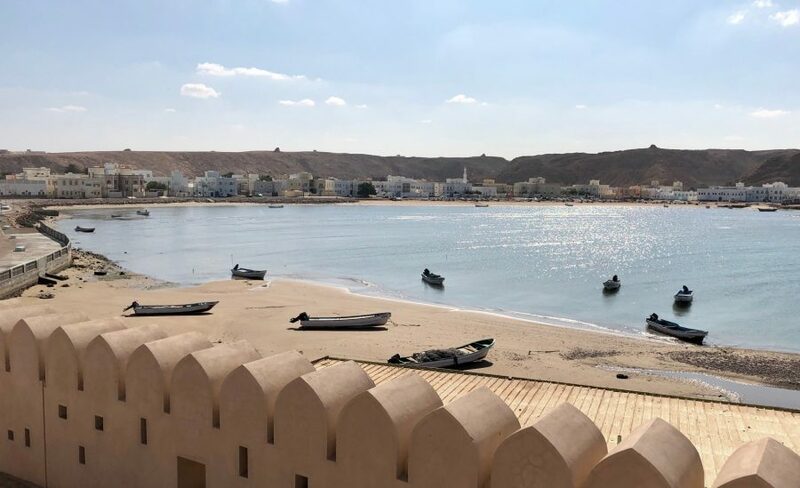 Sur was also the most important place in Oman for shipbuilding. Wooden Arab dhows were constructed there using timber imported from the East African Coast and India’s West Coast.